Today’s post is written by Rebecca, my wife and partner in doing FBA as a full-time job. We’ve come down from the high of Q4 sales through FBA, and we’ve maximized sourcing at after-Christmas clearance sales in local retail stores. In years past, our focus at this time of year would shift back to mainly sourcing for FBA product at local thrift stores and garage sales. This year, however, we decided to use some of our capital leftover from Q4 sales to try a new location for sourcing: liquidation stores. Today’s post is a write-up of our first venture into sourcing at a liquidation store and a summary of the things we learned from that first trip. 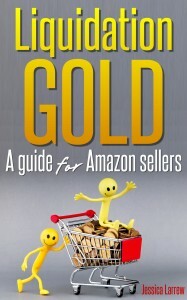 Before we made this first trip, both Stephen and I read the ebook Liquidation Gold: A guide for Amazon sellers by Jessica Larrew. 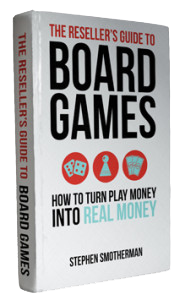 If you have liquidation stores in your area and want to learn about their potential for sourcing product for FBA, I highly recommend this book, for reasons I’ll mention below. We used the methods Jessica discusses to find the liquidation stores within a 1-hour radius of our home, and we decided to try out the closest one first. Liquidation Gold did a great job of helping us know what to expect when we got to the store and how to tackle looking for potential items to resell in this large warehouse-type store. Let’s just say, the merchandise and aisles were pretty chaotic. At this particular store, there is barely enough room for one shopping cart to go down an aisle, much less for two to meet each other head-on. We had to do a lot of maneuvering with the cart, say a lot of “excuse me”s to fellow shoppers, and get down and dirty on the floor to dig through bins of items on the bottom shelves. The lighting is pretty awful, and the signage is all scrawled on scrap paper with a permanent marker. It was nothing like sourcing at a Target or JCPenney or somewhere that they try to make your shopping experience more aesthetically pleasing so you’ll stick around and buy more. But we didn’t let the ambience fool us! We were giddy with excitement as we started down the first couple of aisles. Grocery items and Health & Beauty items are new categories for us — in the past we’ve tended more towards Books or Toys & Games. We were pumped at the idea of finding items we could sell in multi-packs for big profits, but we were hesitant to start dealing with items that have expiration dates. The topic of expiration dates is an important one that Jessica discusses in several chapters of her book, and we felt a lot more confidence going into the store armed with that information. Overall, we had a great first sourcing trip (I’ll share the numbers below). We found items to sell as individuals, items for multi-packs, items we wanted to test and come back to purchase more at a later date (but not too much later or they’ll be gone! 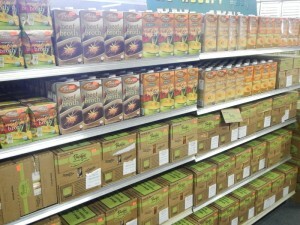 ), and items we knew already that we wanted to buy everything on the shelf. After scanning everything on the first two aisles in a fifteen aisle store, we were ready to call it a day and head home with a cart full of groceries to process and resell. There was no way we could scan the entire store on that first trip! 1) From now on we will allow more time for an initial trip to a new liquidation store. Maybe it’s just us, maybe we’re still working on a steep learning curve for a new sourcing category, but it took a lot longer to scan items and make decisions than when we source for books or toys. Part of the issue is that we need to do more research on Keepa and the Amazon website to ensure we’re making good decisions about buying for multi-packs versus individual items. We’ll get faster at this as we go, but for now it’s taking us a bit longer than we first expected. 2) We learned the hard way to make better notes as we shopped. There were a few items that we wanted to test before we purchased large numbers, and we mistakenly assumed that we could keep everything straight in our minds after we got home and started processing for shipment. Wrong. After a couple of days and the sales started coming in, we were asking each other, “Now, which ones did they have more of?” about the flavors of a particular beverage mix we had purchased two different varieties of. One flavor had started selling, but one hadn’t yet — would have been nice if we knew whether or not the liquidation store had more of the popular one on their shelves without having to driving all the way back and check! Also, we want to make better notes about prices of individual units and the numbers needed to make multi-packs, so that we don’t have to keep looking that information up on Amazon or a scouting app when we’re trying to decide if we want to go back and buy more. 3) We will continue to do tests of certain items, as Jessica describes in her book, but we will also try to be bolder in our buying in the future. It’s such a risk to take one of an item to do a test, but not know whether there will still be more on the shelf if the product sells quickly on Amazon. We’re still working out our tolerance for risk in these new categories. 4) We’ll look up more often. When we find a great item and grab all they have on the shelves, we also now know to look up on the top shelf for possible overstock quantities. We don’t want to leave any money on the table… or the shelves. 5) We will eat a bigger lunch whenever we plan to source at grocery stores in the afternoon. Seriously, I almost needed a separate cart for all the stuff I wanted to take home for our family to eat! 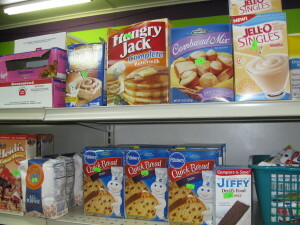 This particular liquidation store specializes in gourmet foods, and the prices were low, low, low. I’m having to learn a new level of restraint in personal purchases while shopping for groceries to resell. 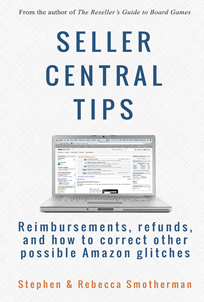 As of 2/24/14 our sales (after Amazon fees) were $389.87. This brings the amount of profit from our experiment to $194.90 The good news is that in less than a month, we have doubled our initial investment. The even better news is that we have not sold out of all of the items we first bought. There is still at least $50 more in profits just waiting to be sold. If things go as expected, our liquidation experiment will have quickly turned $200 into $450. Thank you, Jessica Larrew, for providing such a great resourse in Liquidation Gold. So what about you? Do you have any experience with liquidation stores? What tips would you like to share? We’d love to hear your experiences. I Love Liquidation stores!! Sadly they come few and far inbetween. I only have one small store within 30 miles and so wish there were more!! Mine is a hit or miss store. You never know if there will be nothing or tons of stuff. It’s true that sometimes our sources can be feast or famine… but stay patient and keep going. We try to go to the Liquidation store about every two weeks. Every time we’re there we find something new. Happy sourcing! Laarrew make it so easy, real goldmind. How are you finding these stores? Online….under liquidation? Ann, the Liquidation gold book has a section where it gives you the best method for finding Liquidation stores in your area. 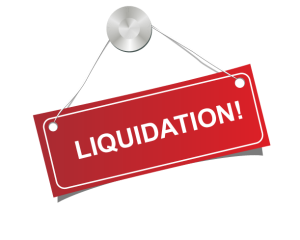 The quick version is to search online for keywords like “liquidation” and some others. Just be sure to call these stores to make sure they are still in business, as some of Google’s info can be outdated or incomplete. Thanks Rebecca and Stephen for sharing your experience. What I find particularly helpful is that you reported your numbers (including inbound FBA shipping costs, which can add up quickly in the grocery category!) I haven’t yet ventured into a liquidation store but if I do, I will heed your advice. And I won’t go in on an empty stomach! You’re right that some of the FBA shipping costs can add up with some of the heavier liquidation store items, but I think it evens out since there are many items that are super light-weight. Good luck with your first liquidation store experiment. I’d love to hear how your visit went when you go. I can’t seen to find anything but maybe you would know of one. Also what do you think about shoprite? you think they can be a Liquidation stores? 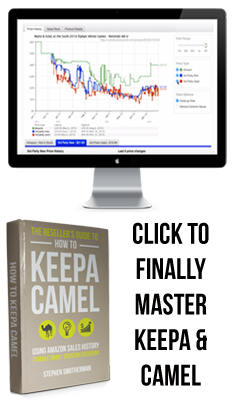 Avi, the Liquidation Gold book that you have should give you many ideas on where to find them in your area. I’m not from New York, so I’m not sure where they might be. Google and see what you can find out. Good luck! We tell our students to not get “too high” or “too low” when visiting liquidation stores. We have bombed at a store, only to score two weeks later at the same location. As others have stated, keep an eye out for expired items! I enjoyed the article, and you guys are do a wonderful job with this blog! Thanks for the encouragement! Yes, never let a first impression stop you from revisiting a liquidation store (or any possible retail store for that matter). It really can be a “feast or famine” when it comes to reselling. Glad to hear that you’ve learned some good stuff. Hope you find a liquidation store near you. If not, it still might be worth it to drive to a liquidation store that is a few hours away. Maybe plan a sourcing day trip with liquidation stores, thrift stores, and your favorite retail stores to find stuff to flip. I’ve found great success in planning sourcing trips out of town. Best of luck! Great post! I absolutely love the thrill of hunting down profitable items. Jessica’s book is aptly titled Liquidation Gold, and often I feel as though the rush is on to discover and/or mine profits hunting down hidden gems. Thanks for the post, and for those wondering…get her guide, you’ll be glad you did! Thanks, Rob! Yes, her guide opened up a whole new world to me. I think others will feel the same way once they get this guide. Thanks for the article and sharing your thoughts. Do you ever do liquidation auctions? Does liquidation gold talk about that our is it just focused on brick & mortar locations? I have never been to a liquidation auction, but I’m very curious about them. TO my recollection, Liquidation Gold mainly focuses on the B&M liquidation stores.